The movie "HOME" is out in theatres today. The movie, "HOME" is out today. My family and I received an opportunity to watch it a few days before the release to review it. We were included as part of their media screening. My family and I experienced the purple carpet! I have to say that I cried and laughed super loud. Home was inspiring to me because of the human connection it discussed. "HOME!" Home is a word that brings an instant feeling of belonging. Throughout the movie, I knew that home was a very important part of film. The filmmakers did a great job sending several messages of hope, compassion and forgiveness. This is a must see movie. Bring tissues and be ready to hug your loved ones after the movie. Jim Parsons plays Oh, one of the main characters along with Rihanna (playing Tip or Gratuity Tip Tucci ) and Jennifer Lopez (Tip's Mom). Steve Martin plays the character of Captain Smek. This is a movie for ages 7 and older because there is some sad parts. The Boov Alien's invade Earth and one little girl (Tip) doesn't get transported to the new human location. She is separated from her mom and her adventure begins when she meets "OH", the most unliked Boov in the entire Universe. Things get worse when the Boov's realize "OH" has sent an invitation for a party to their enemy by mistake. Oh, the Alien, becomes a fugitive and runs away with Tip to help her find her mom. One scared alien and one kid connect while they fight off being captured. It's a great inspiring movie that had me liking all the characters. I hope you enjoy it too. Aquarium of the Pacific is hosting a Latin-themed Late Night event, "Noche De Estrellas". The night will have Latin music, dance and food. Come Friday, March 27, 2015 from 6:30pm until 10:30pm and dance Cumbia, Salsa and Rock En Espanol. The price of admission is only $14.95 for the Latin Adventure. In addition, the aquarium will have over 11,000 animals that you can see and some you can touch. Activities- crafts with the Museum of Latin American art, and bilingual educational programs, including an underwater SCUBA diving show, scavenger hunt with prizes, ocean-related activities, drought education with Mujeres de La Tierra, and more—all offered in both English and Spanish. Mexican dishes and refreshments will also be available for guests to purchase. The Aquarium of the Pacific, a nonprofit institution, celebrates the largest and most diverse body of water: the Pacific Ocean. Great place for families to explore and learn together about one our most important resources. 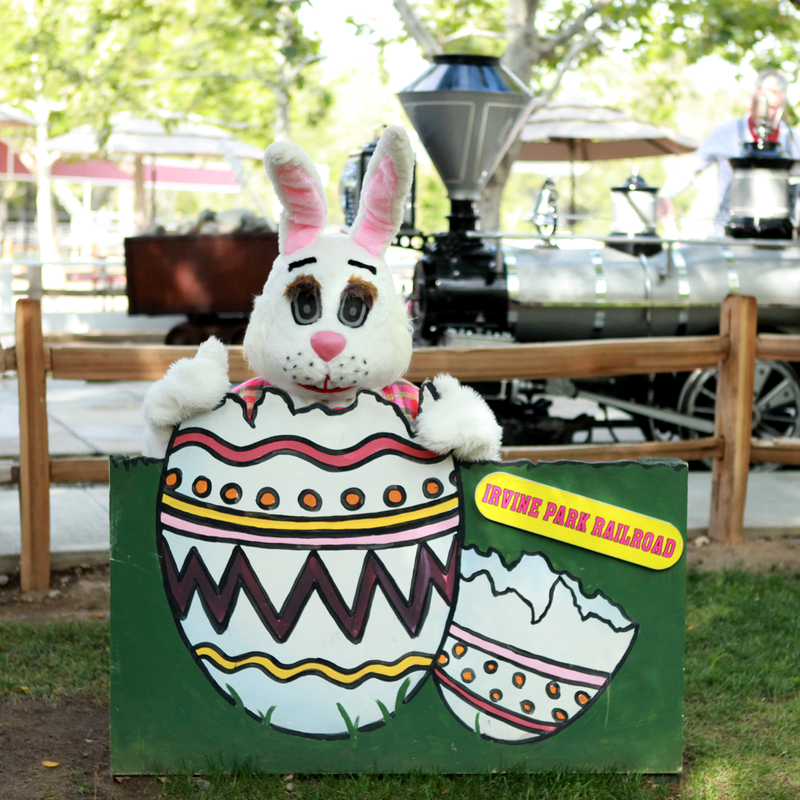 Irvine Park Railroad Easter Eggstravaganza. We are so excited to have received several opportunities for sponsored giveaways. It is with great joy that we are announcing a Facebook contest that expires March 12th at 5pm. You must go to Field Trip Mom Facebook page and leave a comment, telling me why you would like to visit the Irvine Park Railroad. This great sponsored giveaway is to help bring attention to the wonderful Easter Eggstravaganza at the park. Just leave a comment to be entered for a chance to win. All entries must be in by 5pm this Thursday to be entered. It's a 48 hour giveaway extravaganza! Make sure to like our page as well as Irvine Park Railroad. Enter for a chance to win tickets for Irvine Park Railroad. 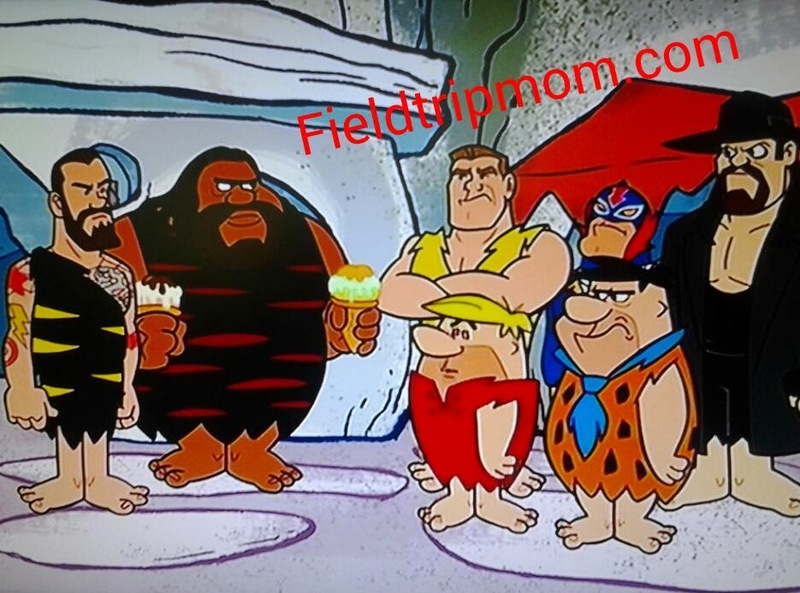 Post by Field Trip Mom. 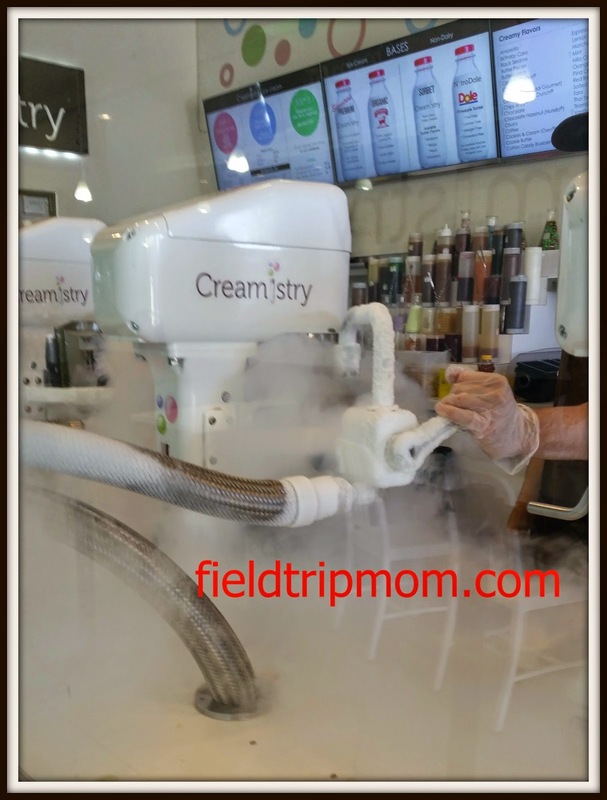 Serving nothing but the freshest ingredients, Creamistry offers several base cream and sorbet opinions including over 40+ flavors and 50+ mix ins and toppings. Every order is made to order, there is no pre-made containers to scoop from and no chance of stale, freezer burnt ice cream served. Disclaimer: We received no monetary compensation for this post. 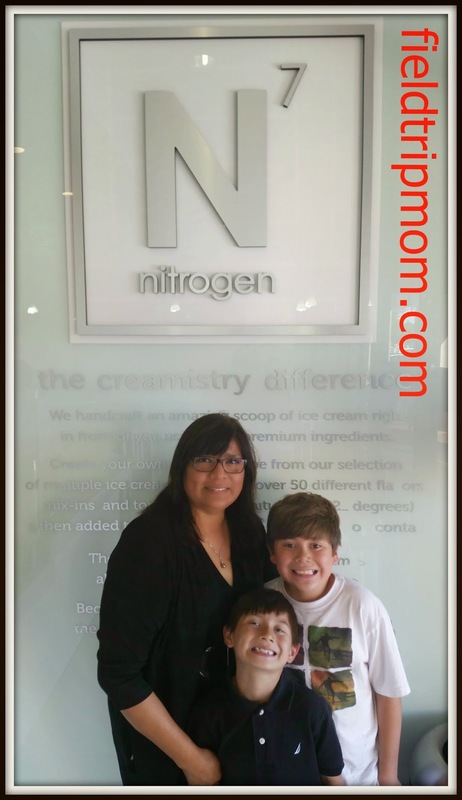 Creamistry sponsored our family to try out a variety of ice creams of our choice free of charge in exchange for this post. All opinions are our own. Creamistry hand crafts all of your ice cream dreams to order with fresh premium cream, organic cream or non-diary sorbets. A specially trained creamologist, pours the finest dairy or non-dairy into a large mixing bowl and adds your choice mix ins. Next, they head over to the specialized creamery mixing station. Then the magic truly happens, Creamistry starts mixing your ingredients together and sprays in the -321 degree liquid Nitrogen. As the Nitrogen mixes with the air, it begins to evaporate causing a plume of vapor around the mixer. The flash freezing process is so cold the cream molecules stay very small without forming ice crystals. This process creates the softest, creamiest ice cream with amazingly fresh ingredients. It's like getting hand churned ice cream at Grandmas house without the 2 hour wait and the tired arm from winding the churn. We all wanted to experience our own unique taste and everyone was excited to order. Among the choices included coffee premium ice cream with Heath Bar mixed in, Oreo cookies and premium cream with a Kit Kat topping, salted carmel premium ice cream with chocolate chips and pretzels laddened on top and a Dole pineapple sorbet topped with marchino cherries. Soft and creamy, every flavor was our favorite. 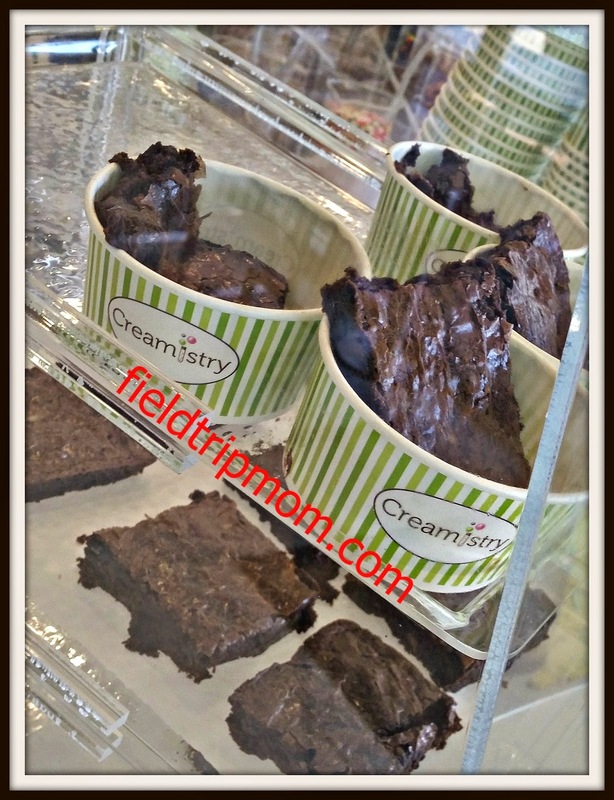 Options included the ability to make your ice cream into a divine shake or add a waffle or brownie to your bowl. The ice cream is reasonably priced for the quality you receive. Big portions are ideal for sharing a large size bowl between friends and the small is perfect for individuals wanting to customize to their own unique tastes. The ice cream is full of flavor, fresh and silky to eat. Your won't be disappointed in the experience. 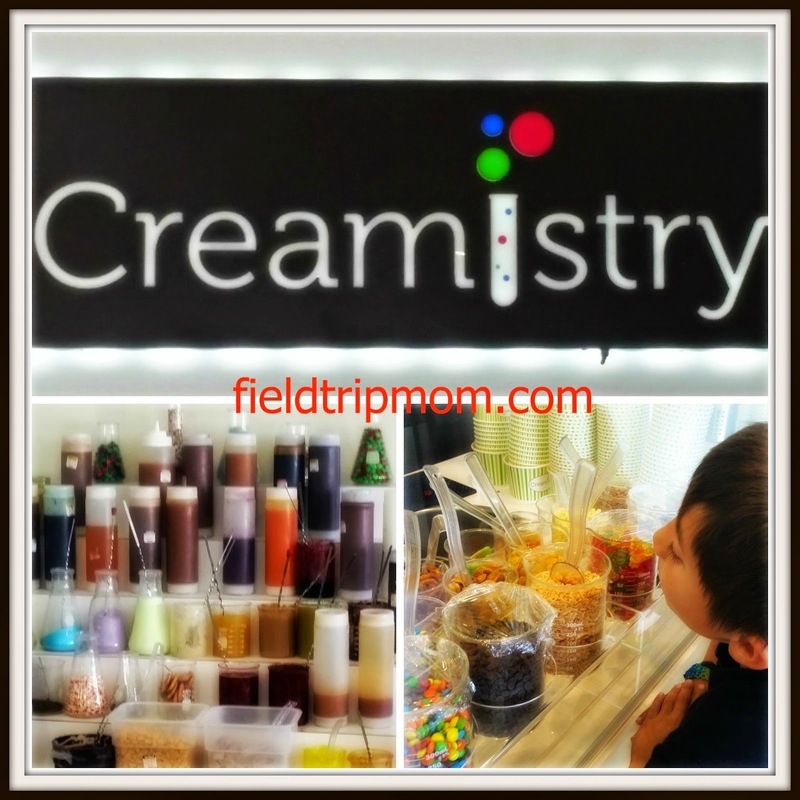 If you are a fan of frozen yogurt, Hawaiian shaved ice or premium hand churned ice creams, you must try Creamistry. As part of the offer, the great people at Creamistry wanted to offer our readers the opportunity to win a gift card to try out this incredible ice cream. Enter to win your chance at winning this gift card and take your family to the newest and freshest ice cream store. The park will be filled with Boysenberry plants, food and live shows that will celebrate spring. The Easter Beagle will be greeting fans and taking pictures with the family all day long. Last year, we took many photos of our spring day adventure. Here is just a few of those pictures. Tasting the different food offerings, cheering on the pie eating contestants and meeting the Easter Beagle made our visit special. The highlight of our food adventure were the BBQ wings with a Boysenberry dipping sauce. Music is a very important part of this Spring celebration at the park. 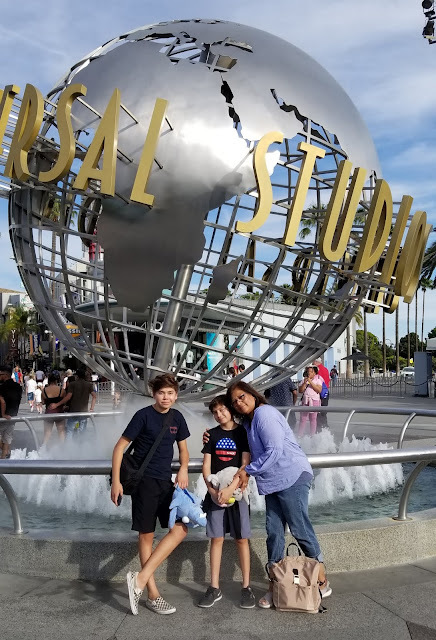 Knott's has added a few opportunities for you and your family to get down and dance all day long. Peanuts Party in the Park is a great new show with lots of bright fun colors and the Peanuts gang showing off their dancing abilities. Jammin' in the dark will make everyone get up and dance with DJ Howly. Lucy's Really Big Spring Show is a great sing-a-long for the tiny tots. Salsa dancing in the Fiesta Village will have you doing the Cha-Cha-Cha long into the night. All of the entertainment will leave you feeling excited and inspired. Sponsored Giveaway - Enter for a chance to win (2) tickets to Knott's Berry Farm Boysenberry Festival. You must be 18 years of age and live in Southern California. The tickets are only good during the Spring celebrations March 28th-April 12, 2015. Disclaimer: Sponsored giveaway. All thoughts and opinions are all my own. My family and I have been invited as part of media. 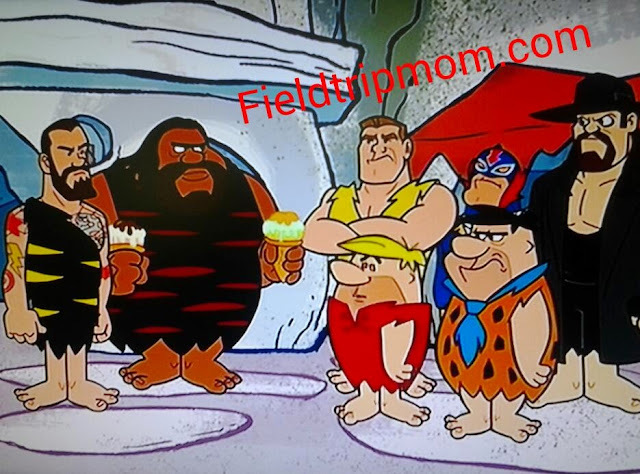 Looking to take Wilma on a long deserved vacation to Rockapoco, Fred tries to ask his boss, Mr, Slate for an advance on his paycheck. 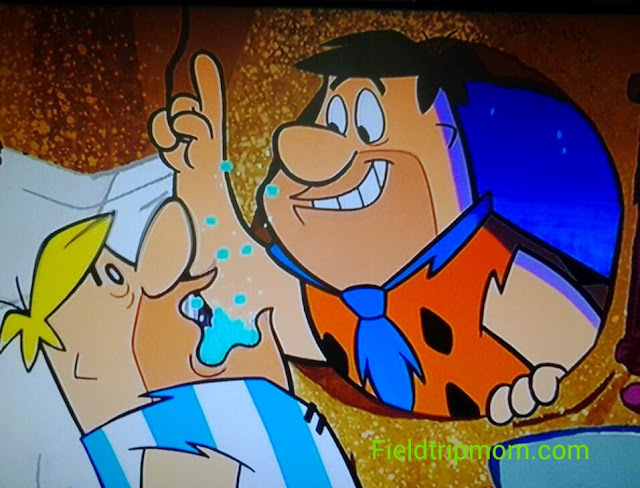 Through a comedy of errors, Fred must pay for damages he causes at the rock quarry. With the help of his trusty side kick Barney, Fred comes up with a harebrained idea to make enough money to take both families on vacation. 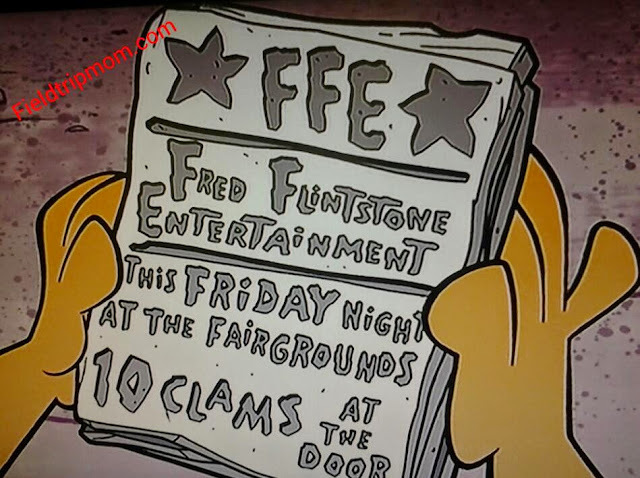 Teaming up with John Cenastone, Marble Henry and the Undertaker, Fred becomes an event promoter for a crowd pleasing wrestling entertainment show worthy of a packed arena. Family fun for an evening together; you and your kids will laugh your way through the entire movie. Hanna Barbara, WWE Studios and Warner Bros Studios join together for an amazing stone age movie with a modern storyline. Available on DVD, Blu Ray and Digital HD via Ultraviolet, this movie is 52 minutes of great Flintstone fun. Go out today and pick up a copy for this evenings family movie night. Disclaimer: Fieldtripmom.com received a free Blu Ray copy of this film in exchange for our review. No monetary compensation was exchanged for this post. All opinions are our own.